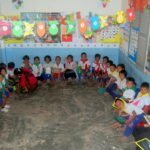 Khmer Akphiwat Khmer Organization (KAKO), our partner in Cambodia, is a non-profit organisation that runs several projects aimed at improving education. 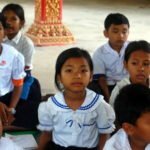 This includes running preschools, scholarships and libraries that reach out to some of the poorest villages in Siem Reap Province. In 2003 KAKO launched a scholarship programme for hard-working students ages 12 to 20 who came from underprivileged backgrounds. The scholarship would give these students the opportunity to complete their education and open the door to better-paying jobs that would have previously been harder – if not impossible – to qualify for. In 2012 KAKO approached Philanthropy Connections (PCF) to support students selected for the scholarship programme. That same year we were able to begin finding sponsors for the students, and have so far sponsored eight student scholarships. Poverty is one of the main reasons behind low school attendance. 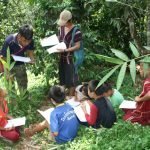 Families, especially in rural areas, have little incentive to keep their children in school when they can work in the field and earn an income. Girls in particular need to take care of household chores, watch over their siblings and support the head of the household. 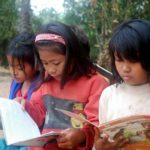 These factors often take priority, leaving some children unable to complete their education. In rural areas only 53% of children ages six to 18 years old completed the 2014/2015 academic year; of these only 15% completed secondary school (1). Dropouts after primary school are also largely due to families being unable to afford school fees. 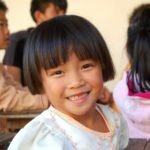 The KAKO scholarship takes the financial burden off of families by paying for students’ school fees, uniforms, and stationery. It also directly assists the family by providing them with rice as compensation for income lost from their children not working, as well as a bicycle for the beneficiary to cycle to school. The programme makes it possible for more children to finish primary and secondary school and qualify for higher paying jobs in the future. As an additional incentive, scholarship students and their families are also given priority in receiving a toilet built next to their house, which is part of an ongoing toilet sanitation project run by KAKO and PCF. 1. Ministry of Education (2015). 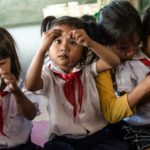 Education Statistic and Indicators 2014 – 2015 [PDF], EMIS Office, Department of Planning, Phnom Penh, page 55. Since 2012 we have found sponsors to finance a total of eight scholarship students. Cheun Hean, supported from 2012 to 2016. Cheun Hean graduated in 2016 and then continued onto university! In 2016, she started studying accountancy on a university scholarship provided by PCF. Dok Srei-ny, supported from 2012 to 2015. Srei-ny was the first KAKO scholarship student to successfully complete secondary school. In November 2015 she started a four-year course in finance and banking at the University of South East Asia in Siem Reap. 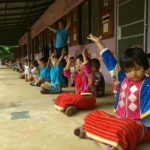 Her college tuition is taken care of through another PCF scholarship programme. She dreams of having a job in microfinance to help people in her village to start businesses of their own and to open up her own business in the future. Te Saveoun, supported from 2012 to 2014. 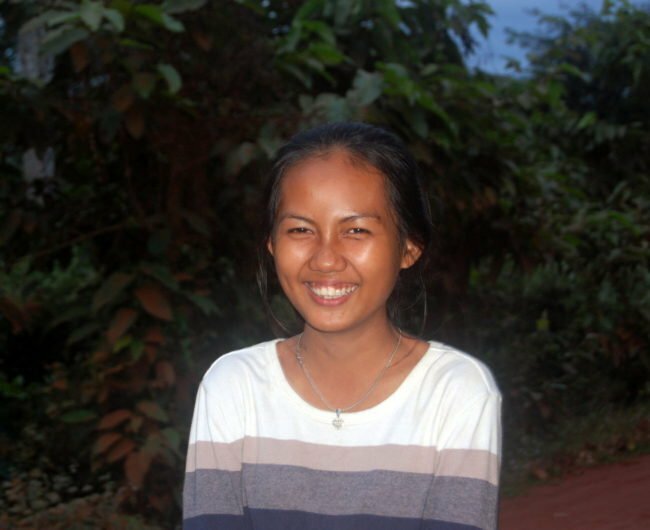 Saveoun went up for her final examination of secondary school in 2014, but did not pass. 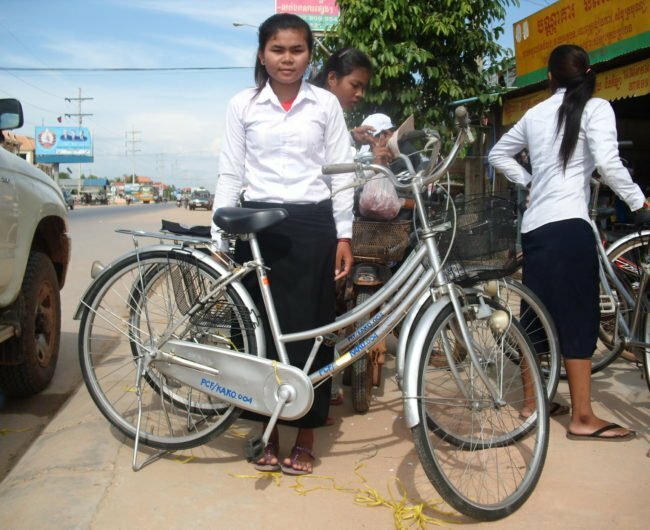 Instead she started working as a cook assistant at a restaurant in Siem Reap. Saveoun’s studies, although unfinished, ultimately helped her get the restaurant job. Pong Pea-Reas, supported from 2012 to 2013. 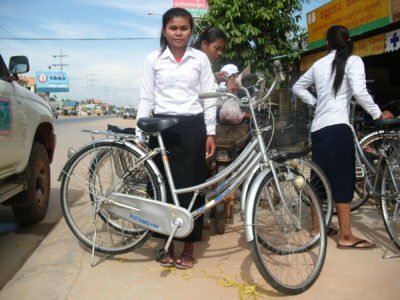 Like Saveoun, Pea-Reas chose a different path before completing secondary school and instead studied to be a cook in Siem Reap. She completed the course in 2013, got married shortly thereafter, and now works at a hotel. In 2015 Pea-Reas gave birth to a healthy baby boy and is very happy.